The 2015 Electronic Entertainment Expo begins next week in Los Angeles, and Electronic Arts Inc. (NASDAQ: EA) kicks off the week by hosting its ninth annual E3 press conference on Tuesday, June 16 at 6:00am AEST. 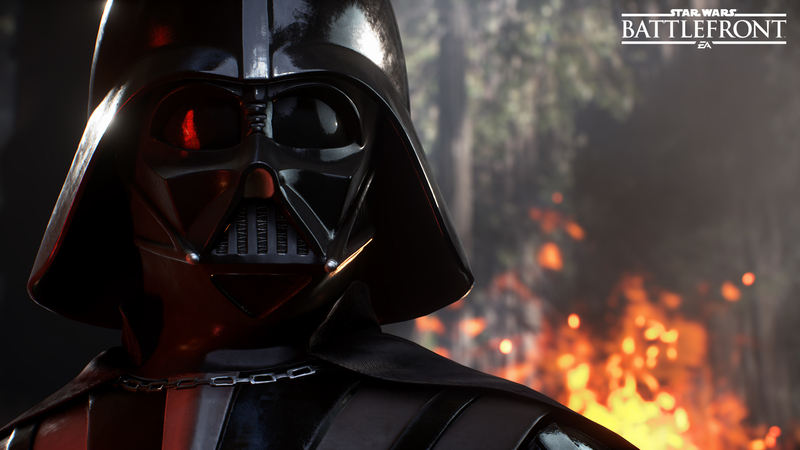 EA joins the week-long gaming celebration by showcasing some of the world’s biggest, most entertaining blockbusters and by revealing innovative original gaming properties. At the press conference hosted by CEO Andrew Wilson, EA will demonstrate a dozen HD titles, all powered by world-class technology, including the world debuts of gameplay from Star Wars™ Battlefront ™, Mirror’s Edge™ Catalyst, Need for Speed™ and more. The EA press conference will stream live at livetoplay.ea.com on Tuesday, June 16 at 6:00am AEST. From E3 through Gamescom, follow the latest EA news, updates and see exclusive behind-the-scenes content at LivetoPlay.ea.com. For viewers unable to attend the show in person, EA will bring the excitement home by giving away free games throughout the live stream. Follow and Retweet @OriginInsider for a chance to win one of 400 free PC games, starting as the show begins at 6:00am AEST and concluding as the show ends at 7:00am AEST. Winners are selected at random. · FIFA 16 – FIFA 16 innovates across the entire pitch to deliver a balanced, authentic, and exciting football experience that lets you play your way, and compete at a higher level. And with all new ways to play! · EA SPORTS™ FIFA – Featuring stunning new console quality gameplay that fully harnesses the power of the latest mobile devices – this is truly the next generation FIFA for mobile. · Madden NFL 16 – Be the Playmaker in Madden NFL 16 with new gameplay mechanics that allow you to dominate the passing game. · Madden NFL Mobile –This is Madden NFL like you’ve never seen on mobile and the season never ends! Build your ultimate Madden NFL team, dominate your friends in intense head-to-head shootouts and play Live Events all off-season long. · Minions Paradise™ –Developed in partnership with Illumination Entertainment, when a lovable yet bungling Minion named Phil accidentally sinks the cruise ship carrying his vacationing Minion buddies, he decides to turn a deserted tropical island into the perfect Minions Paradise! · Mirror’s Edge Catalyst – Experience the rise of Faith and join her fight for freedom, with fluid movement and combat in first person that will raise the bar for the action/adventure genre. · NBA LIVE 16 – This year is all about you, with features that empower self-expression on and off the court. · Need for Speed – Discover a nocturnal world of urban car culture built around real world automotive icons and Five Ways to Play in this thrilling reboot. · NHL® 16 – Built with more input from our fans than ever before, NHL 16 steps onto the ice to deliver new features across the most played single player and team modes, including a reimagined EA SPORTS Hockey League. Combined with new gameplay balance and innovation at every position and an unrivalled game day authenticity, NHL 16 puts you into the heart of a team, where you play together and win together. · EA SPORTS Rory Mcllroy PGA TOUR® – With stunning authentic and fantasy experiences, EA SPORTS Rory Mcllroy PGA TOUR truly delivers Golf Without Limits. Play what you want, how you want, where you want. · Star Wars™ Battlefront ™ – From epic 40 player multiplayer battles to Missions packed with intensity and depth, Star Wars Battlefront will immerse you in your Star Wars™ battle fantasies. · Star Wars ™: The Old Republic™ – The largest story-driven expansion to date, Knights of the Fallen Empire, marks a renewed focus on cinematic storytelling in Star Wars: The Old Republic. The expansion will deliver on the hallmarks of what makes a great BioWare™ game: new worlds to explore, new companions to recruit, and a dynamic story that players will be able to shape based on the choices they make.